1 April – 15 May and 1 October – 15 October. Price: camplapponia@gmail.comÂ Minimum of 2 hunters and a maximum of 8 hunters. Weapons: 222 Rem – 6,55x55. Special requirements : a good physical condition. 4 hunting days,5 nights,6 days.This package includes a black grouse display safari at sunrise. Accommodation in a cottage, double room, full board without beverages near the hunting area. Sauna, shower and toilets available in the cottage. Food based on small game and fish from the areas. Import formalities for the weapons.Possibility to rent weapons from Camp LapponiaÂ which makes your travel easier. All the transfers during the hunt. Black grouse display safari at sunrise. The prices for the trophies. 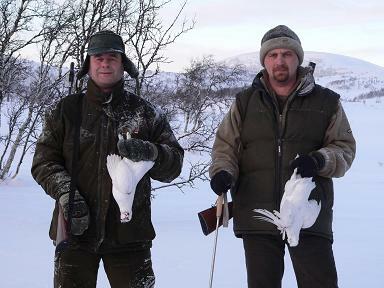 Ptarmigan hunt on skis in the winter is an exciting hunt even for the experienced hunter. Skiing through the magic sceneries of Lapland’s wilderness in search for the ptarmigan is an adventure in itself. The ptarmigan, white against the snow is hard to find before it flies away.The hunter must be alert and fast to shoot one. The South of Swedish Lapland has a very good ptarmigan (rock ptarmigan and willow ptarmigan) population with some fluctuation due to the food and the nesting. A successfull hunt is enhanced by the experienced professional hunting guide who knows the area. Ptarmigan: 3 hunting days in the mountains. 5 days including arrival and departure days. 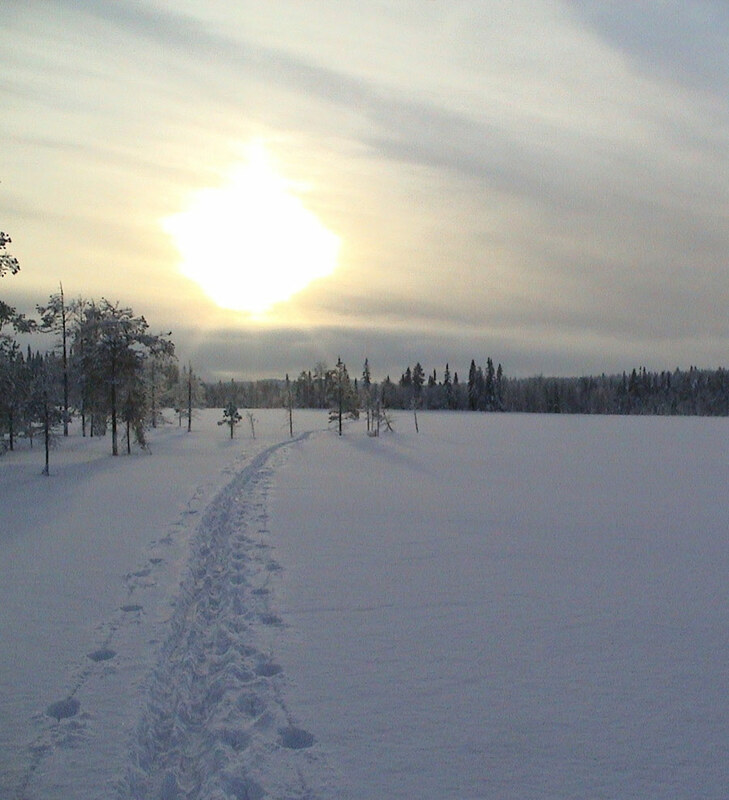 Period: 15 February – 15 March: hunting on skis, snowshoes or just by walking.Depending on the quality of the snow. Transfers to the hunting areas by snowmobile. Weapons: bullet gun 22 Magnum. Special requirements: a good physical condition. 3 hunting days on skis, 4 nights, 5 days. Mountains: accommodation in double room. Shared bathroom. Import formalities for the rifle.Possibility to rent weapons from Camp Lapponia which makes your travel easier. Rent of the skis and the snowshoes. 1 professional hunting guide for 2 hunters. 8 ptarmigans/day/hunter.Latest hunting date for the ptarmigan: March 15. Certificate that the ptarmigan were legally hunted in Sweden. All the transfers by snowmobile during the hunt. Price: camplapponia@gmail.com Minimum of 2 hunters. 1 professional hunting guide for 1 hunter. Snowmobile rent: 250 euro/person/day for those who want their own, snowmobile.Gasoline not included. 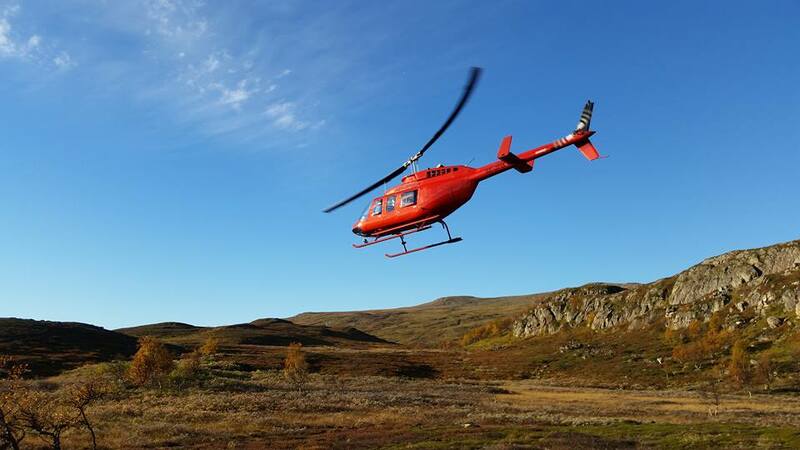 Territories only for Magic Lapland hunting guests.Transfers by helicopter to the hunting areas. Accommodation in a mountain cottage, full board in the hunting areas. Period: 25 August – 30 September. 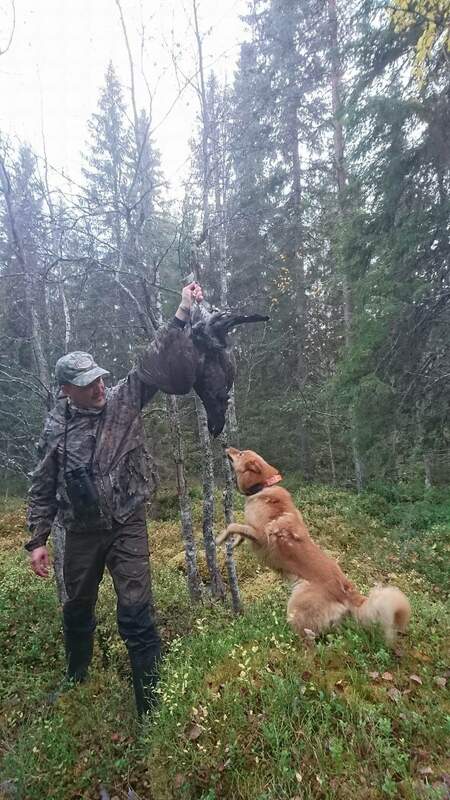 Hunting in exclusive Magic Lapland territories. 3 hunting days. Accommodation in a mountain cottage without running water in the hunting areas. Drinking water from the small mountain rivers. Electricity provided by solar panels. All the transfers by helicopter. The hunting licenses and permits. The import formalities for the weapons. Professional hunting guide without dog for 2 hunters with dogs. 8 rock ptarmigan/ hunter/ day. camplapponia@gmail.com Minimum of 2 hunters. Pricing for 1 hunter on request. Choice between full board or self catering. 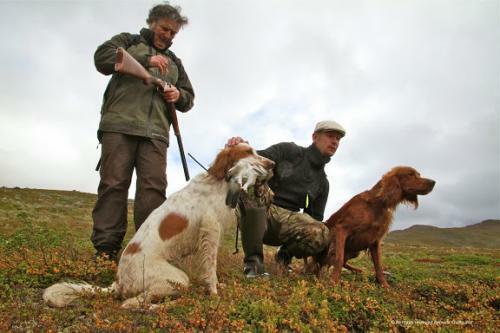 25 August – 10 October: hunting with a pointer on 1.1 million ha. 5 hunting days, 6 nights, 7 days. Accommodation in a cottage, double room, full board. Shared shower and toilets. 1 professional hunting guide without dog for 2 hunters. All the transfers during the hunt. Except the transfers by helicopter. Bag limit: 8 ptarmigan/ day/ hunter. Price: camplapponia@gmial.com. Minimum of 2 hunters. The flight tickets to/from Umea via Stockholm www.flysas.com. Additional fee for hunting or not hunting day. Import formalities for the weapons. Transfers by helicopter to the hunting areas. 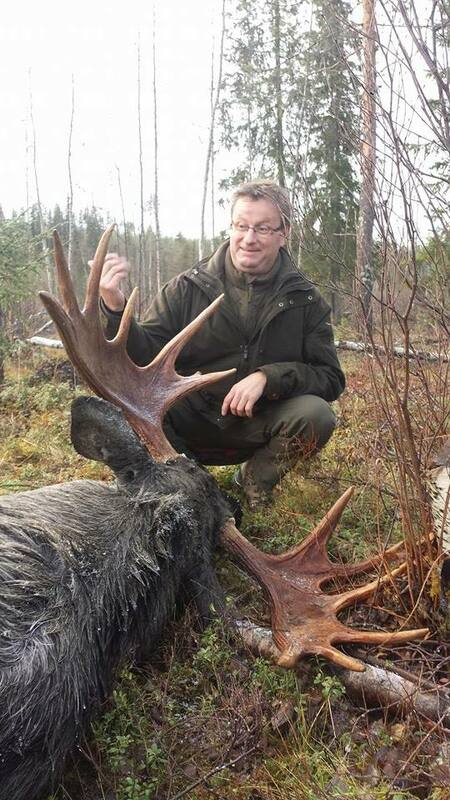 Moose trophy hunt – capercaillie – black grouse – hazel grouse trophy hunt. Period: 10 October – 15 November. Weapons: calibre 6,5 x 55. 6 hunting days, 7 nights, 8 days. Accommodation in a cottage near the hunting area, double / single room, full board without the beverages. Shared shower and toilets. Sauna. Food based on small game and fish from the areas. Professional hunting guide with hunting dog for the moose hunt. 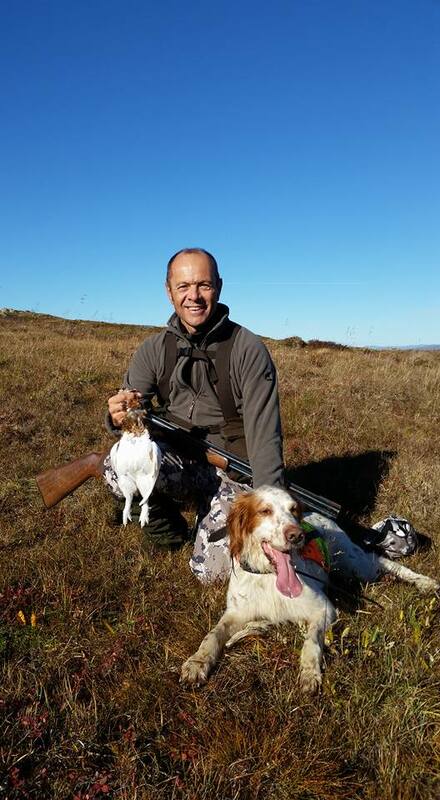 Professional hunting guide with dog for the capercaillie trophy hunt. Professional hunting guide on the play area for the black grouse shooting. 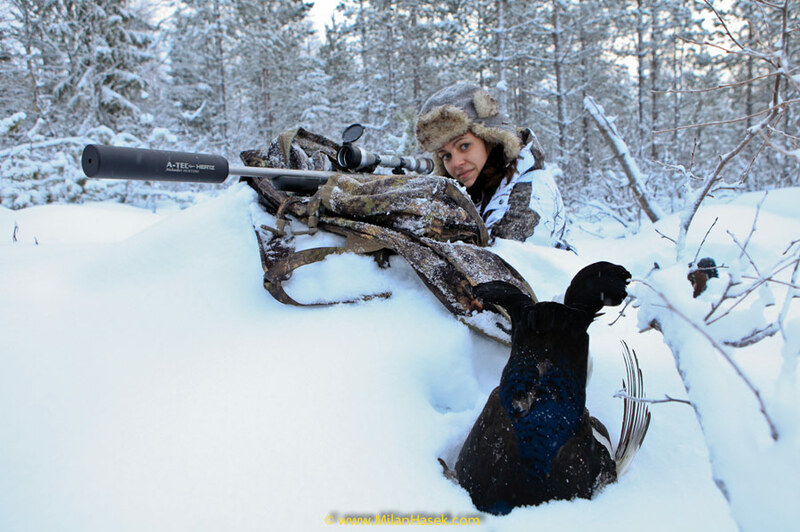 Hazel grouse hunt on calling with a professional hunting guide. 1 capercaillie, 1 black grouse, 1 hazel grouse / hunter. Special preparation of the birds trophies for the journey and the taxidermist. Price: camplapponia@gmail.com. Minimum of 2 hunters and a maximum of 6 hunters. Alternative airport Umeå via Stockholm. Travel / health / luggage / repatriation insurance. Prices for the moose trophy. Shipping and mounting of the moose trophy. Purchase of the moose meat. Accommodation in a hotel. Pricing on request. 1 gourmet dinner with local specialities in a real gourmet restaurant. 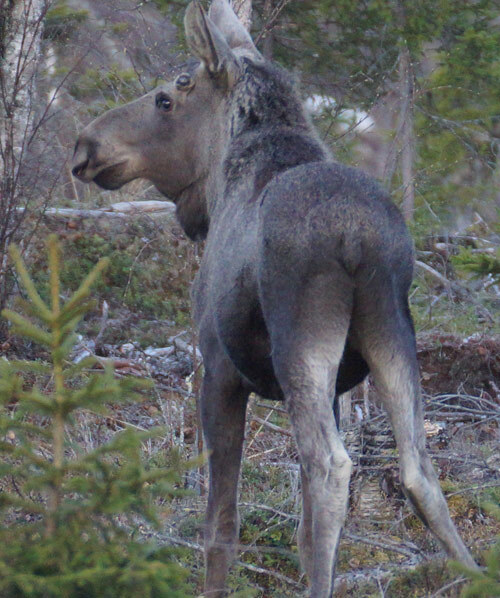 MOOSE: (Alces Alces): first Monday of September – 25 September and 10 October – 13 November. The shooting is performed as a combined drive & hunting with dogs. 1 guest – hunter will accompany the dog-master, changing daily. Weapons: calibre 6,5x55. (bullet gun). Every hunter will have to perform a shooting test. 5 hunting days, 6 nights,7 days. Accommodation in a cottage, double room, full board without beverages near the hunting area. Shared shower and toilets in the cottage. Sauna. Food based on small game and fish from the areas. Professional hunting guide with moose dog. Accompanying guest. 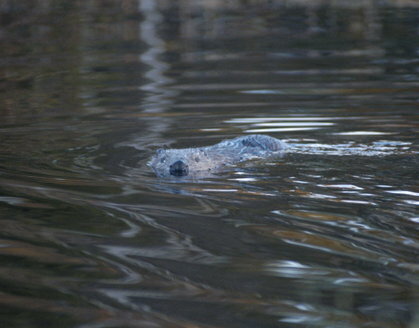 Camp LapponiaÂ organizes special programs for non hunting guests. 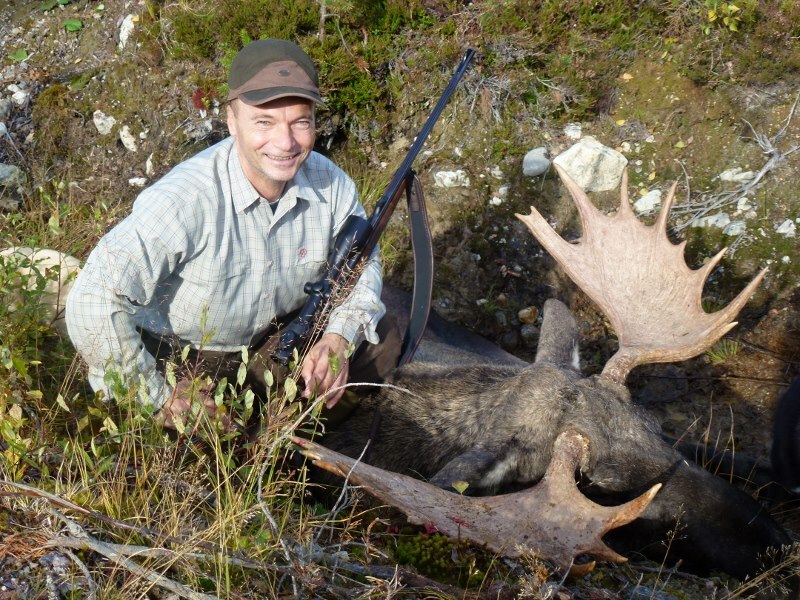 Combination moose hunt – trophy hunt capercaillie and black grouse. TROPHY HUNT ON SKIS IN THE FORESTS OF LAPLAND. The birds have their winter feathers which is perfect for the taxidermy. 15 DECEMBER – 31 JANUARY. The birds sit on the top of the trees to get some food. Weapons: bullet gun 222 Rem. Shooting distance:80-200 meters. Shooting with full metal jacket. 5 hunting days on skis, 6 nights, 7 days. Accommodation in a cottage, double room, full board without beverages near the hunting area. Shared bathroom with showerÂ and toilets. Food based on small game and fish from the areas. Import formalities for the weapons. Possibility to rent weapons from Camp LapponiaÂ which makes your travel easier. 1 capercaillie and 1 black grouse/hunter. Certificate that the birds were legally hunted in Sweden. Special preparation of the trophies for the journey and the taxidermist. 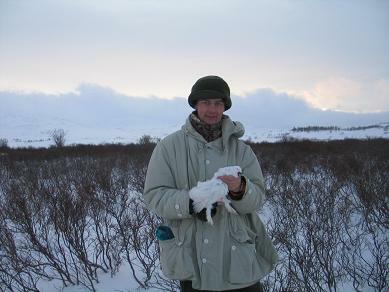 Possibility to hunt the arctic hare. Price: camplapponia@gmail.com Minimum of 2 hunters and a maximum of 8 hunters. Alternative airport Umeå via Stockholm(Arlanda). Fee for accompanying guest.We organize activities like dog sledding, snowmobile tours, ice driving, snowshoe walk, spa. 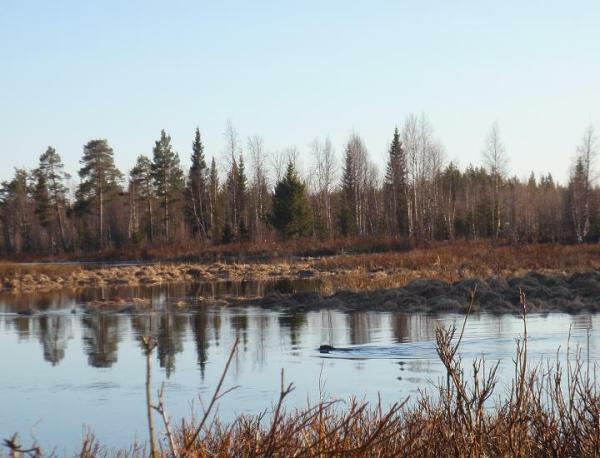 After hunt activities: dogsledding (husky), snowmobile tour, ice driving. Accommodation in a hotel. Contact us for a special offer. 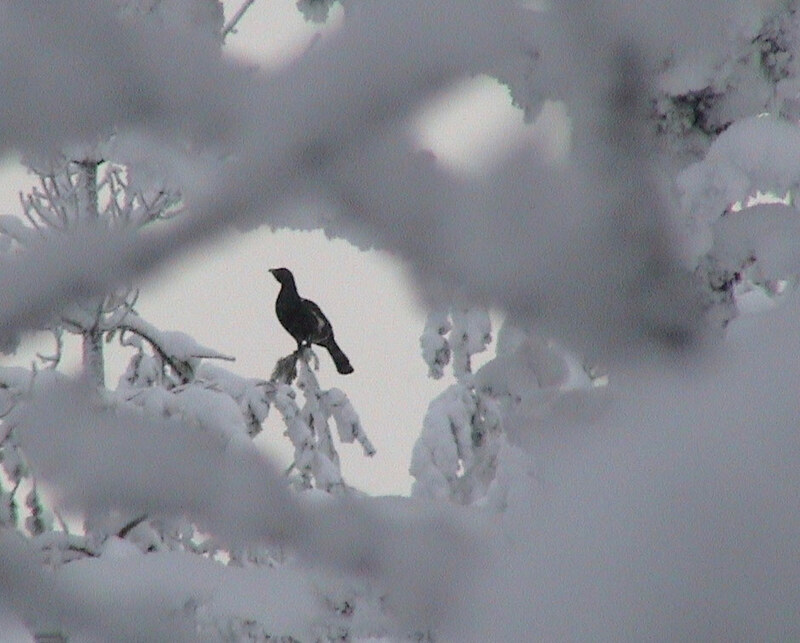 CAPERCAILLIE AND BLACK GROUSE HUNT FOR TROPHY IN THE FORESTS. The birds have their winter feathers which is perfect for the taxidermy. 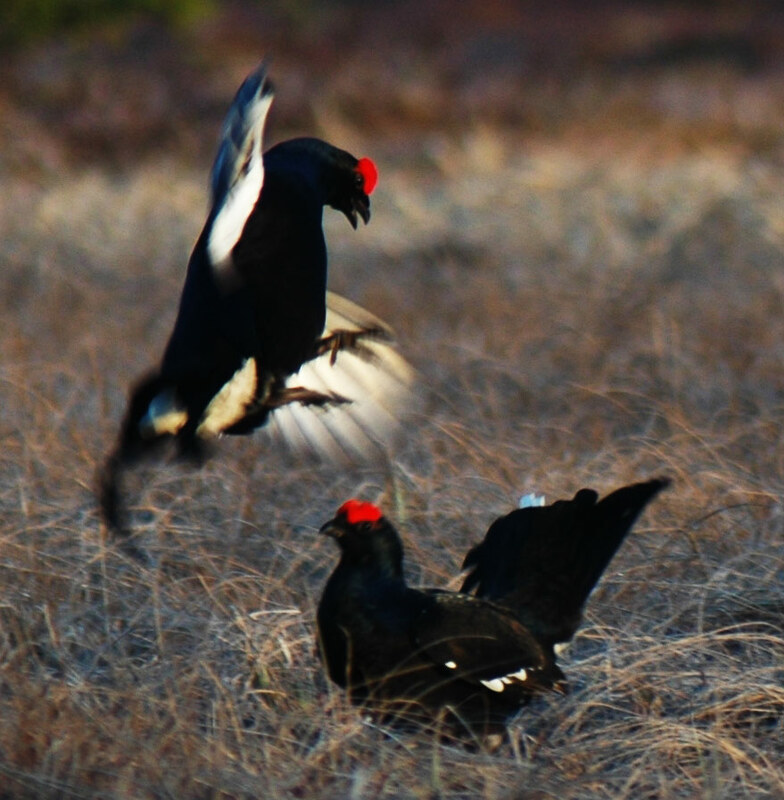 Capercaillie and black grouse hunt: 10 October – 15 November. After the 15 th November we hunt on skis. We shoot the birds on the top of the trees when they get some food. Weapons: bullet gun 222 Rem-6,5x55. Shooting distance: 80-200 meters.Shooting with full metal jacket. A shot gun for the Hazel grouse until November 15 th. shared shower and toilets. Food based on small game and fish from the areas. Prices for the additional trophies. 3 hunting days. Hunting: 1 guide for 1 hunter.